Users should not need to download large files to explore 4DN Data. The 4DN Data Portal provides an accompanying Jupyter Notebook Service to all users for immediate access to the data on the portal. In addition to files released to public, users are automatically authenticated to access restricted data, shared with the 4DN Network or within their labs. Please note that you need a Data Portal account to access the 4DN JupyterHub. You can register by clicking the Log In/Register button in the top bar. The Jupyter Notebooks run Python 3 and come pre-installed with a number of tools to access the 4DN Data Portal and the data within. 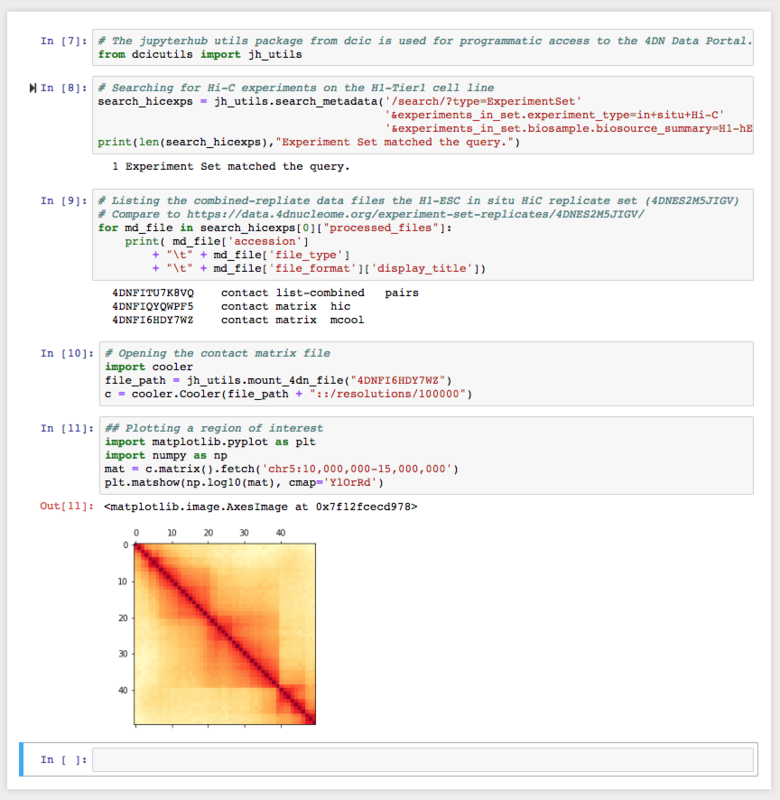 Existing ipython notebook (ipynb) files in the examples directory demonstrate sample use cases. Please contact the DCIC with any questions, suggestions, or requests. Please note that the 4DN JupyterHub service is a BETA release with active development. Features may change without notice.